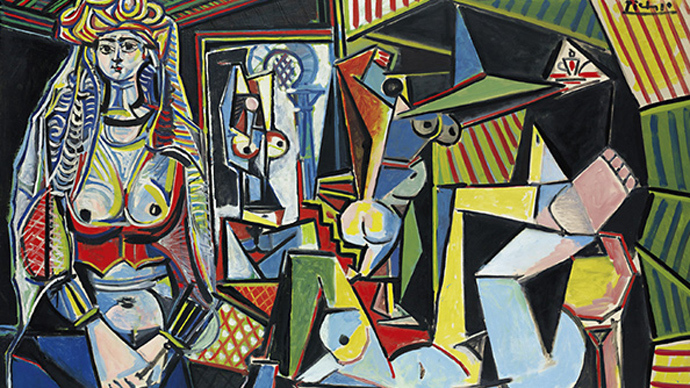 A Pablo Picasso painting has set a new world record for a piece of art at an auction. One fortunate bidder has spent $179mn with premium and commission to grab sole possession of Women of Algiers (Version O). Regarded as the single most important masterpiece to remain in a private collection, the work of art was widely advertised at pre-sale global tour in Hong Kong, London and Manhattan, prior to fetching a world record at Christie’s New York sale. Previously in possession of American collectors Victor and Sally Ganz, “Women of Algiers” was painted after Picasso drew inspiration from the 19th-century French artist Eugene Delacroix. The painting is part of a 15-work series the native Catalan artist produced between 1954-55. Each is designated with the letters A through O. The price for Picasso’s vibrant, multi-hued painting was driven by high resale value based on solid investment opportunity, art dealers said. “I don't really see an end to it, unless interest rates drop sharply, which I don’t see happening in the near future,” Manhattan dealer Richard Feigen said. The previous record holder was Francis Bacon triptych, “Three Studies of Lucian Freud,” that sold for $142 million (£92m) at Christie’s New York in 2013. Last year, Christie's impressionist and modern art auction sold $1.2 billion worth of paintings, an increase of 19 percent over the previous year.